If you have any professional pictures in your plans for holiday gifts or a “just because” occasion then check out a great deal for Sears Portrait Studio! 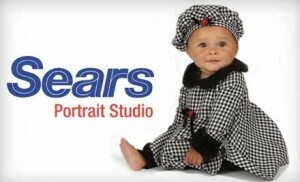 Mamasource, a daily deal site for Mom & Kid gear is offering a Deluxe Portrait Bundle deal good at any Sears Portrait Studio for $35. If you use the code SAVESOUTH you’ll get an additional 10% off, making the entire bundle cost $31.50. Your deal will good through 12/31 so you can get pictures anytime this fall/winter.